OBJECTIVE: The objectives of this study were to explore RN perceptions regarding barriers/challenges and incentives/supports for BSN completion and identify recommendations to increase RN BSN completion. BACKGROUND: The Institute of Medicine's 2011 The Future of Nursing report recommended the proportion of RNs with a BSN increase to 80% by 2020. METHOD: This qualitative study included 41 RNs who participated in 1 of 6 focus groups based on their BSN completion status. RESULTS: Primary themes were sacrifices, barriers/challenges, incentives/supports, value, how to begin, and pressure. Primary BSN completion barriers/challenges were work-life balance and economic issues. Incentives/supports identified were financial compensation, assistance from employer and academic institution, and encouragement from family. Institutional strategies recommended for increasing BSN completion rates were improved access to education and financial support facilitated by collaboration between hospitals and academic institutions. CONCLUSIONS: Exploring RN barriers/challenges and incentives/supports for BSN completion can lead to implementation of institutional strategies, such as tuition reimbursement and academic collaboration. 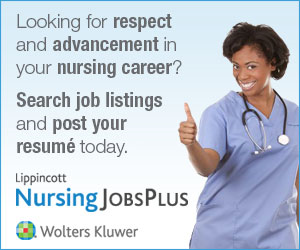 A number of studies have focused on RNs seeking to complete their BSN. A meta-analysis of 28 studies reported nurse perceptions of continuing nursing education, including barriers and incentives.8 Among barriers identified in studies were financial constraints,8-10 family,8-10 competing priorities,8,10,11 sacrifices,12 negative academic educational experience in the past,13 lack of adequate academic support,8,11,13 and lack of time.13 Some motivating factors included personal fulfillment8-11 and career development.9-11 Recommendations included enhanced academic support and a simplified process toward BSN completion.8,10,11,13 Having a greater understanding of the barriers/challenges faced by diploma or associate degree RNs has implications for healthcare organizations seeking to meet the 80% BSN completion rate by 2020. A qualitative study was conducted in a 5-hospital system in the mid-Atlantic region of the United States; the system has more than 5,000 RNs with BSN completion rates ranging from 53% to 72%. Nurses were recruited via flyers and e-mail to participate in 1 of 6 focus groups based on their BSN completion status (4 focus groups = non-BSN RNs; 2 focus groups = BSN RNs). The study was approved by the institutional review board, and all participants provided consent. Participants completed a demographic survey prior to focus group initiation, and they used pseudonyms during the focus group to protect their privacy. The groups were facilitated by a master's degree-prepared nurse experienced in behavioral health and facilitation skills using a question guide. Examples of questions used in the focus groups are included in the Document, Supplemental Digital Content 1, http://links.lww.com/JONA/A301. A cofacilitator documented participant responses on a flip chart. Focus group audiotapes were transcribed, and coding was conducted by the principal investigator and 2 subinvestigators using a qualitative content analysis method.14,15 An external coding check of 10% of the narratives was completed by 3 other subinvestigators. Categories were developed and reached by consensus; in addition, a thematic analysis was conducted by all investigators. Of the participants (n = 41), the majority were female (95%; n = 39) and white (71%; n = 29), with an average age of 52 years (confidence interval, 49.4-54.8 years) and years of practice as a nurse of 23.2 years (confidence interval, 19.6-26.8 years); 29 (71%) were non-BSN RNs, and 12 (29%) had attained a BSN. Six primary themes were identified regarding RN perceptions of BSN completion: sacrifices, barriers/challenges, incentives/supports, value, how to begin, and pressures. Sacrifices reported included juggling commitments and balancing multiple demands of family, school, and work. "We have families, and many of us have young children. Taking the time out, and it is hard enough working full time with a family, it's just asking an awful lot." Barriers/challenges included financial reimbursement and discomfort with navigating the academic educational process (Table 1). Participants noted lack of financial support in the form of tuition reimbursement, timeliness of the reimbursement, lack of salary increase after earning a BSN, and lack of full-time benefits for those who would have to reduce their work status to part-time in order to return to school. Another challenge was using current technology related to online learning. "I have the ability to do online courses; however, I feel that it's 3 times harder than classroom." A lack of confidence in succeeding in returning to school was also expressed, "I was never a good student, and I tried to get my BSN at one point, and my grade point average wasn't high enough." Incentives and supports included funding or financial support by the employer through increased tuition benefits, financial compensation, or bonus for BSN completion (Table 2). A non-BSN nurse noted, "I would think they could pay the tuition for us." Incentives through employer encouragement was also commonly articulated, including credit for clinical experience, study groups, book exchanges to decrease cost, flexible scheduling, and easier access to education through hospital-based classes. Nurses who had completed a BSN indicated they had flexible scheduling and received financial and family support, mitigating the barriers articulated by non-BSN nurses. The value and benefit of the BSN were regarded with ambivalence by some nurses (Table 3). A non-BSN nurse stated, "I don't think that it is necessary for me to have a bachelor's degree to work on the floor." A nurse approaching retirement noted, "I'll be too old to really make any use out of it." A BSN nurse stated, "There has absolutely been no benefit in my practice." However, another BSN nurse stated, "We don't explain that to our colleagues[horizontal ellipsis] it's not just letters! You actually do get something from a bachelor's program. We haven't been doing a great job at doing that." A nurse speaking about degrees suggested that having a BSN would improve a nurse's parity, "I do think it is important for people to have their degrees. I think that it's important for other doctors, physical therapists, nutritionists[horizontal ellipsis] I think that it is important for nursing in general to advance." Professional growth, autonomy, and critical thinking were examples provided when asked about the benefits of having the BSN. The process as to how to begin a BSN program also identified differences between non-BSN and BSN RNs. The non-BSN RNs reported not knowing how or where to start entry into the academic environment, which program to consider, difficulty navigating the system, and obtaining tuition reimbursement. One RN noted, "Maybe the school should provide a designated person, someone we would know by name who we could contact to answer all our questions so we wouldn't feel so lost." The BSN RNs expressed that they had navigated through the process, but noted difficulties in doing so. "I worked 10 hours, I did 2 days of clinical, and then the 3rd day to the 7th day I attended classes." Pressure to complete a BSN is magnified by the implications of the IOM report and, in turn, the position of hospitals to increase the number of BSN-prepared nurses. "My concern is that this is going to end up punitive to those of us who don't have a BSN. Are we going to end up down the road wondering if we are still going to have a job?" The RNs noted pressure about the requirement to complete a BSN while also working as an RN, regardless of family and other related factors. "I feel pressured now to go back to school whether I want to or not." From the 6 themes identified, the primary recommendations were to improve access to education and financial support, facilitated by collaboration between hospitals and academic institutions. The unique aspect of this study is the use of 2 sets of focus groups. Those who had not completed the BSN helped identify barriers and incentives, thereby helping leadership consider possible strategies to support nurses pursuing their degree. Perceptions of the RNs who had attained their BSN helped to identify the strategies that had supported their return to school. As a result of this research, recommendations have been made to nursing leadership to facilitate introductory on-site nursing classes for university credits toward a BSN degree. These classes would help RNs transition back to school, prepare them for new nursing requirements, and educate them about new tools being used at universities. The system's task force to advance nursing education has partnered with the organization's human resources department to review benefits and resources available and develop programs to support reaching the organizational goal of 80% BSN-prepared RNs by 2020. The system has begun forming collaborative partnerships with universities and academic institutions to help RNs navigate the web of challenges in returning to school. The research also identified that pursuit of a BSN may not be perceived as personally worthwhile for nurses approaching retirement. Nurse leaders play a key role in encouraging RNs to continue their education, and communicating its value. As this study found that RNs do not always perceive the value of having a BSN, it is recommended that administrators strive to effectively communicate such value, including that of improved patient outcomes and increasing professional parity. Accordingly, healthcare and academic nurse leaders need to collaborate to develop strategies for supporting nurses who are seeking to complete their BSN. Once strategies are identified and implemented, an effective messaging campaign should be designed to better inform nurses on the "whys" and "hows" of BSN attainment. Consumers and the IOM are 2 forces driving the change to an 80% BSN workforce.4 A greater understanding of barriers encountered by nurses pursuing advanced education is critical for healthcare organizations in developing strategies that will help mitigate the barriers to increasing the proportion of nurses with higher degrees. Likewise, strategies to encourage incentives should be applied by healthcare organizations and academic institutions through joint collaborations to promote a better educated nursing workforce that will ultimately aid in improving patient outcomes. The authors thank Colleen Brooks, Lois Culler, and Elizabeth Samuel.